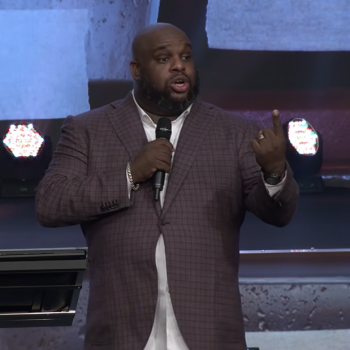 As Beth noted earlier, South Carolina Pastor John Gray recently told his congregation to take money from the church’s offering baskets if they needed some financial help. It was an act of apparent generosity that generated a lot of positive press coverage. Why wouldn’t it? It’s not that often we hear of a church giving away money rather than just taking it in. Part of me wants to believe this is just a nice guy doing a nice thing. It’s clear from the video that the people taking money are seriously grateful for the help, so on one level, this was a wonderful thing to do. As great as all this sounds, the money is only being given out in front of the cameras, perhaps to milk the publicity for all its worth. Letting the congregation feel like they’re receiving a gift from God by taking money from the offering baskets is kind of like a gas station jacking up the price of fuel… then giving customers a “deal” of five cents off per gallon. It’s not really a net win for them. It just feels that way. Gray would’ve done the congregation (as a whole) a bigger favor by just telling them to hold onto their tithes. He didn’t do that. He created a public spectacle instead. He knows a little something about that, too, considering he’s the star of a show called The Book of John Gray (on Oprah Winfrey‘s network). While the show hasn’t been renewed for a third season just yet, if it does, you can bet clips from this sermon will find their way into the editing room. Ultimately, the only reason this stunt works is because people are convinced they need to give money to this church. Their bank accounts would be larger if they didn’t. 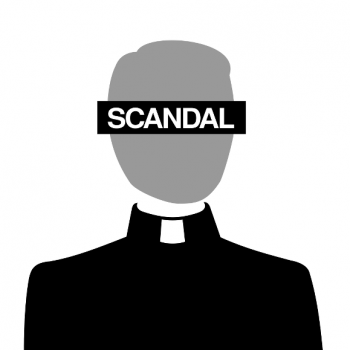 So while it’s refreshing to hear about a megachurch pastor giving back to his congregation, remember that this doesn’t happen every week and the ensuing publicity could reap even more rewards for the church. Think of a boss who has the choice of giving employees a raise or a bonus. A bonus is flashy and will make workers happy… for a little while. But a raise would give them more long-term stability. John Gray gave these parishioners a bonus while pretending he was giving them a raise. He may have thought he was doing them a favor, but let’s not forget he’s also helping himself. This wasn’t an act of generosity. It was an act of exploitation.